The said house is on a exclusively and newly launched subdivision in Mactan, Cebu. Very accessible towards pristine beach resorts of Mactan and commercial areas such as Mactan Airport, Bigfoot, Shangrila, Mactan Shrine, Newtown I.T. Park, and Portofino Beach resort. It is located in Barangay Mactan, Lapu-Lapu City. Lapu-Lapu City is just about 16 kilometers away from mainland Cebu and is linked to Mandaue City by the Mactan-Mandaue Bridge and the Marcelo Fernan Bridge. The Subdivision is about 10 kilometers away from Mandaue City and is just a 30-minute drive from Cebu City. 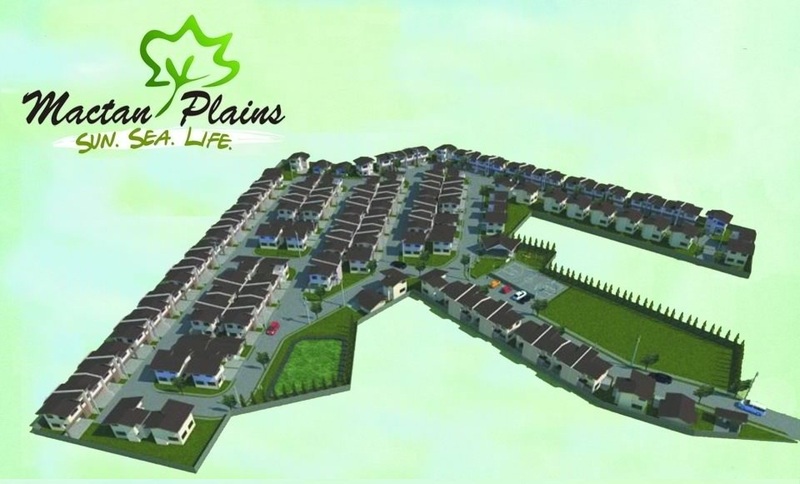 Mactan Plains is a 2.29-hectare residential development. There are 142 units available for ownership. Lot sizes range from 100 sq. m. (1,076 sq. ft.) to 247 sq. m. (2,658 sq. ft.) for single detached models. For the rowhouses, lot areas range from 60 sq. m. (645 sq. ft.) to 80 sq. m. (861 sq. ft.). Mactan Plains Subdivision offers three (3) house model options of Asian-inspired architectural design. With its strategic location, residents of Mactan Plains Subdivision are just mere minutes away from the cities of Lapu-Lapu, Mandaue and Cebu. In fact with its location, residents are only a short drive or ride away from public and private schools for their children, commercial and business centers, hospitals, churches and the pristine beaches of Mactan Island where the international airport is also situated.The unifying Contemporary Asian theme for the entire subdivision ensures harmony in architecture, landscaping and design. Only very reputable contractors and construction companies are engaged in the site development works. Standards of quality and monitoring are in place. Lot Area: Inner Unit: 60 square Meters (645 Sq. Ft.
Kindly mention "MACTAN PLAINS" with your comment in the comment box when you have inquiry.